Our trails welcome nordic skiers (cross-country), skate-skiers, snowshoers, snow bikes (fat bikes), walkers and dogs. The Town of Rico hosts a 5-mile network of trails on the west and east sides of town. There are two trails on either side, the east side is comprised of the Argentine and the Enterprise Trails (in Silver Creek) and the west side is made up of the Piedmont & RGS Grade Trails. Right now, only the Piedmont section of trail is not being regularly groomed. The Rico trail system is decidedly casual, and not ideal for skate skiing, although it is possible for non-elitists. 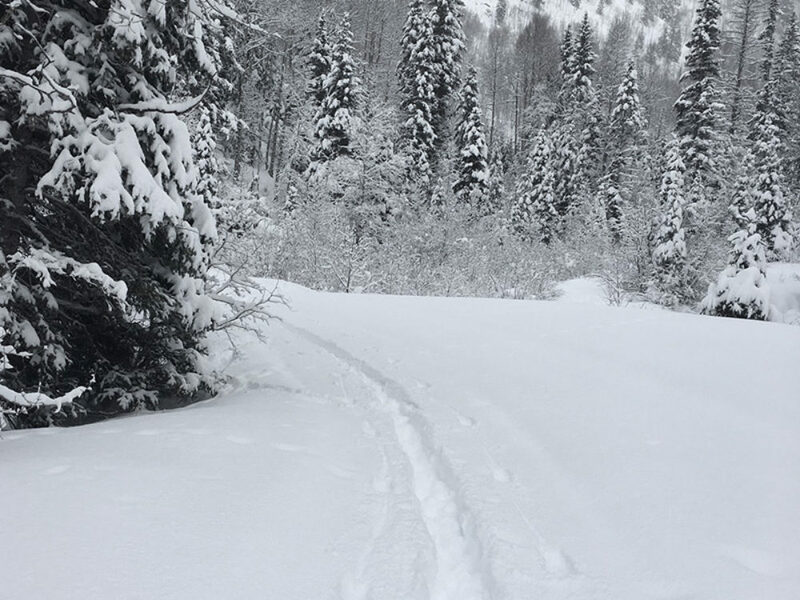 You will rarely encounter someone on the trail with you, and the trails are used mostly by walkers, snow bikes and traditional cross-country skiers. Dogs are welcome! Check the Rico Trails Alliance Facebook page for grooming updates (make sure to “like” us to get the grooming report right to your own feed). The western trails are flat and follow along the Dolores River for about a half mile in both directions. 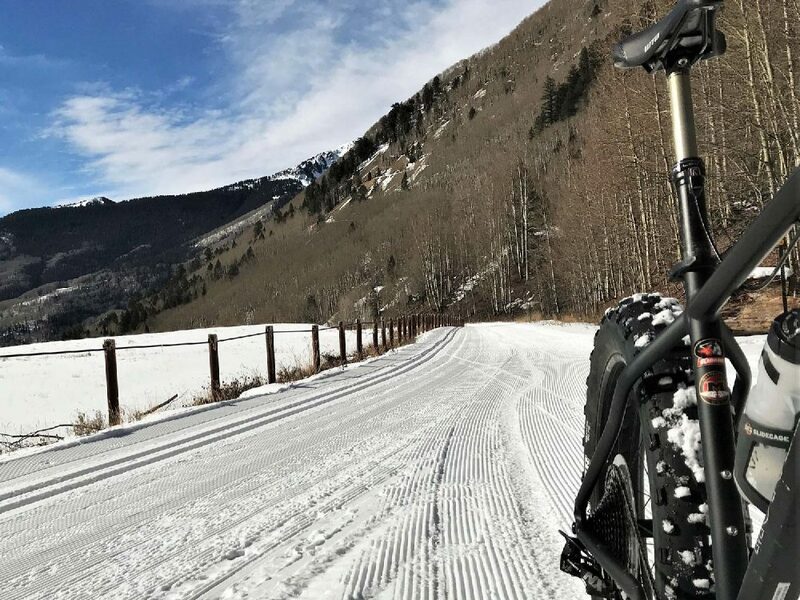 The RGS Trail is groomed/plowed and great for fat bikes (snow bikes). Please note the Piedmont trail is not regularly groomed, but can be fun trail-breaking for those on snowshoes or touring skis. Use the trail links below for more information on specific trails. 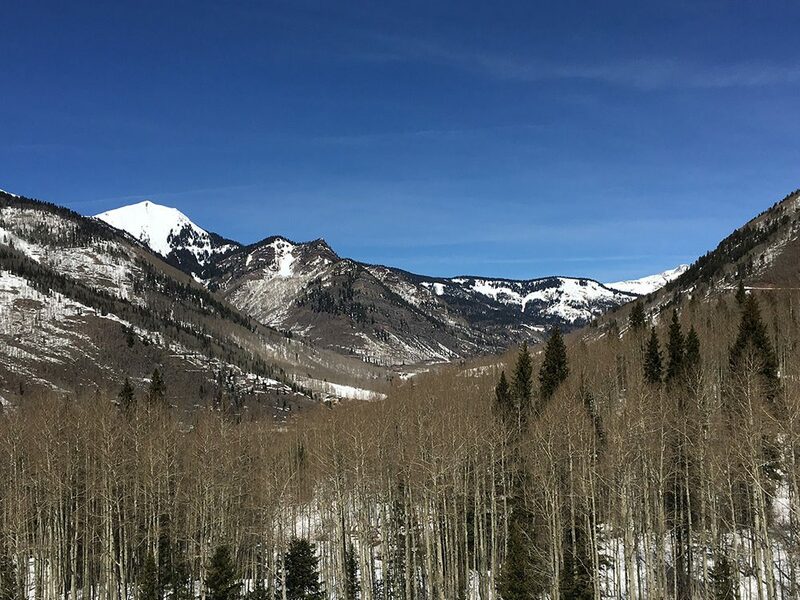 Other trails in the area, the Trout Lake trail up on Lizard Head and the system near Priest Lake, are maintained by Telluride Nordic Association and more information can be found on their website.